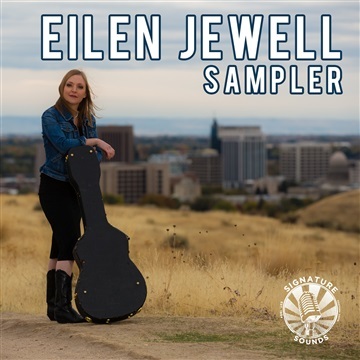 Honesty, confidence, and respect permeate Eilen Jewell’smusic, dating back to her self-released Boundary County album in 2006. Since then, the Boise native has recorded five studio albums for Signature Sounds with her road-tested touring band, and two more as a member of the Boston-based gospel-charged Sacred Shakers (also on Signature Sounds), which includes that well-oiled band at its core. Her latest, Sundown Over Ghost Town, is a masterful culmination of Jewell’s work to date, and rolls out May 26.